According to The Alternative Board’s most recent Small Business Pulse Productivity Survey, 84% of business owners are working over 40 hours per week, and 1 in every 10 feels continuously overwhelmed by their responsibilities. Considering the majority of entrepreneurs don’t just get into business for the money, but also for the lifestyle, freedom, and flexibility, these numbers suggest that most business owners are not getting what they want out of their businesses. So how can business owners better manage their productivity for improved work life balance? The first step is identifying time-wasting habits and then replacing them with proven time management practices. 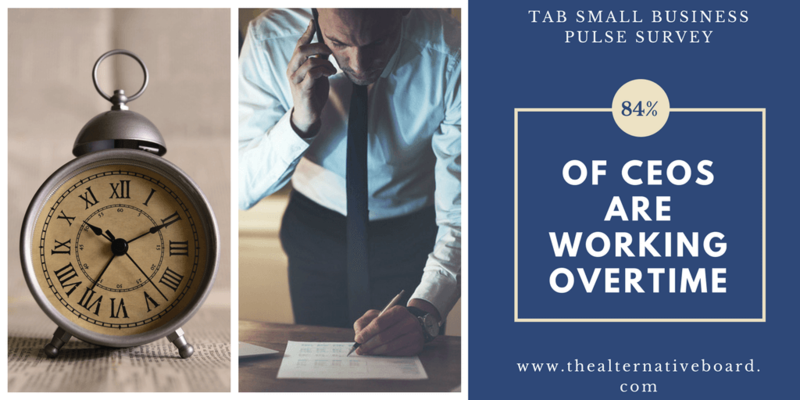 Fortunately, TAB’s May 2017 survey illuminated a lot of these productivity-sabotaging habits and found a few key solutions for how business owners can reclaim their time. The average business owner spends 10+ hours a week in their inbox. If you’re going to spend 53% of your time on meetings, you better make them productive. The average business owner spends 20% of their time on in-person meetings and 13% on phone/video conference calls — that’s nearly 55% of their workweek. 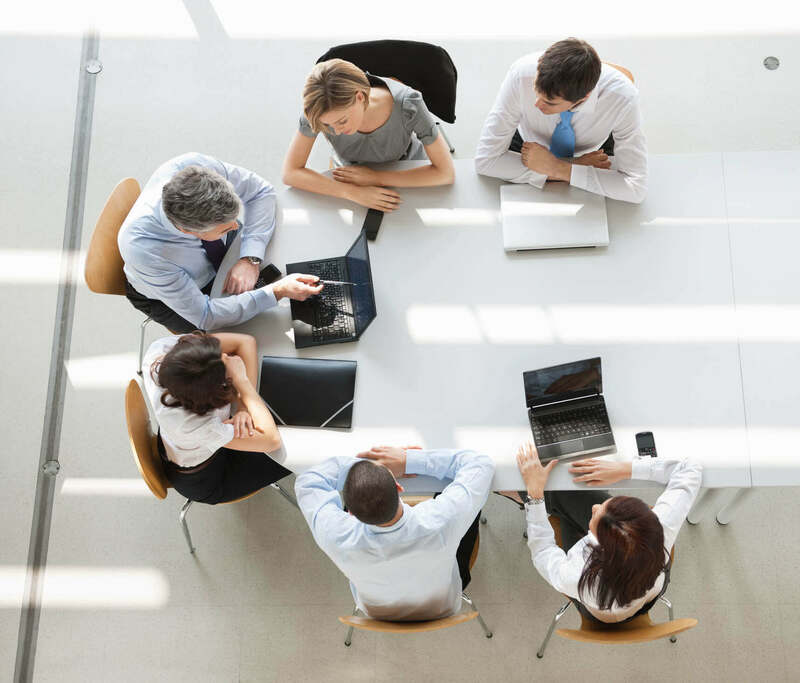 While meetings are a critical function of business leadership, only 4% of the entrepreneurs surveyed believe their meetings are 100% productive.“Meetings are a necessary evil,” writes Bob Pothier (@Bob_Pothier), Director of Partners in Leadership. “How you manage your meetings says a lot about how you're managing your organization.”In order to stay productive and lose as little time as possible Pothier suggests starting every meeting on time, having an agenda, starting with a “culture moment” (i.e. telling a story or giving recognition), and ending the meeting with a “who's-going-to-do-what-by-when" list. You can blame it on a hundred other things, but at the end of the day, your productivity boils down to your time management. 64% of entrepreneurs believe they could be delegating more responsibility. 39% of the business owners surveyed reported that paperwork is the #1 waste of their time, followed by manual labor (37%). If you are doing either of these tasks, there’s a good chance you are working below your pay grade and not delegating properly.“The biggest obstacle to successful delegation is the persistent urge to not delegate anything at all — or ever,” writes business consultant Larry Alton (@LarryAlton3). “Sometimes, it's a point of pride for a boss to retain as much work as possible, but more often, it's created from the mentality that your workers wouldn't be able to handle it, or that they wouldn't get it done the right way.Learn to overcome your fear of delegation, and you’ll feel an enormous sense of relief once you let go of the menial tasks that are preventing you from long term planning and exploring development opportunities and keeping you glued to your desk chair day in and day out. Work life balance is not a mythical notion, but a very real possibility for entrepreneurs who are willing to devote a little extra time to planning and prioritizing. Keep an eye out for the little things — like email, meetings, procrastination and those silly little administrative tasks — that add up to leech your hours away — hours that you could be spending with your family and friends. If you’re among the 1 out of every 10 entrepreneurs that feels constantly overwhelmed by work, you may want to take a look at your time management practices. Getting an outside perspective is often the best way to start. The Alternative Board provides you with the unique opportunity to meet regularly with a board of fellow peer business owners who can help you overcome challenges, such as overworking and poor time management. To take advantage of TAB’s peer advisory model, find a local board and get in touch.